White House Press Secretary Sarah Sanders told reporters on Air Force One en route Arizona that "there will be no discussion" about pardoning former sheriff Joe Arpaio today and "no action will be taken on that front at any point today," per a pool report. 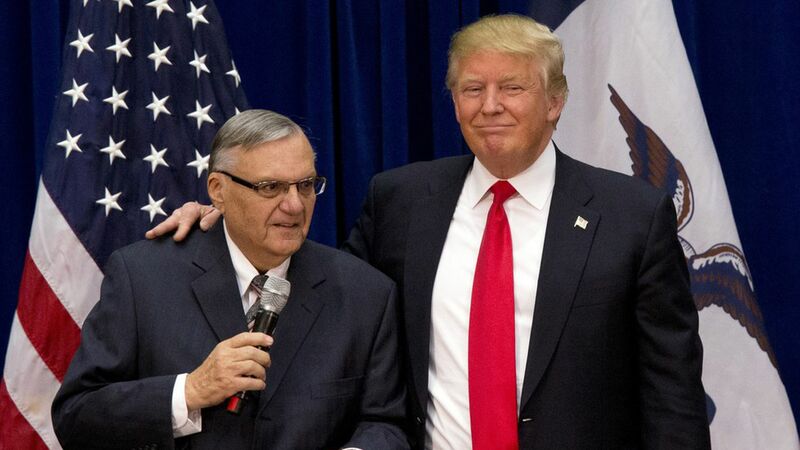 Why it matters: There's been talk that Trump might pardon Arpaio after his conviction of criminal contempt of court for disobeying a 2011 court order to stop detaining people based on his suspicions they were undocumented immigrants. Arpaio then told VICE News: ""He didn't say he's not going to do it" ... "He said tonight."